The STA’s uniquely structured horary course is suitable for any astrologer with a secure understanding of basic astrological principles and some experience of drawing up and interpreting charts. Previous experience in horary is unnecessary - the course provides a full theoretical overview of the subject and highlights the most useful and reliable principles of judgement. In addition to showing how to most-effectively draw out the meaning of a chart, it also focuses on preparing astrologers for the sensitive issues that arise within the horary consultation process. The course offers a practitioner level of certification. By the end of the course any astrologer who is capable of delivering a professional astrology service will be ready to begin offering horary to clients. The course is a requisite qualification for those wishing to undertake the advanced level of study and tutorial mentorship offered in the STA Master's Level Horary Course. The course material, originated by Deborah Houlding, explores the methodology, theory, history and practical application of horary technique. It places a strong emphasis on learning through typical client scenarios, with consideration also given to informative historical examples. Although traditional techniques lie at the heart of the study, the course leans towards the consulting needs of modern horary astrologers. A wide range of typical (and unusual) horary queries are covered, including lost items/missing pets and people, relationships/emotional dilemmas, property/career/financial concerns. This course is delivered as five consecutive full-day workshops, with the beginning of each day reserved for questions and review of previous material. Lessons are structured as tutorials followed by group discussion with in-the-moment exercises, thought-provoking questions and consolidation of principles through horary chart practice. All necessary course materials are provided: students receive just under two hundred pages of personalised course notes which serve as the course textbook. These include explanations of key principles, workbook-style activities, example horaries and answer sheets. This course is non-residential and delegates traveling into Seattle are required to make their own accommodation arrangements. 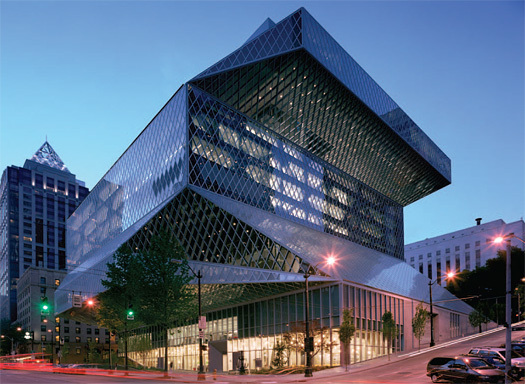 The course venue, the Seattle Public Library, is in a very accessible part of downtown Seattle, an ideal location for our fun social activities. Reasonably priced accommodation can be found within a short distance. Formal instruction commences at the venue at 10:00am on Friday 18 August 2017. All course attendees are invited to join our two optional social events – a Sunday 20 August afternoon adventure in the city (details forthcoming), and a celebratory Saturday 26 August evening dinner at a nearby restaurant. Fuller details of tuition times, scheduled breaks and social events are included in the course prospectus. Chart calculation is not taught as part of this syllabus, except for techniques that are specific to horary astrology (such as planetary hours and the calculation of planetary dignity scores, etc). Participants are expected to have previous experience of drawing up and interpreting astrological charts. The course is restricted to a small number of enrolments to allow for individual attention, a friendly and encouraging atmosphere and an ideal number of participants for workshop exercises and group-work; therefore places on this course are limited to a maximum of 20 students. This course is non-residential and delegates traveling into Seattle are required to make their own accommodation arrangements. Places are limited to 20 participants, secured on a first-come basis upon payment of a non-refundable $350 USD deposit. The remainder of the course fee must be paid in full by 15 July, 2017. The full cost of this course is $695 USD. This includes all course materials, qualifying certificate, and light refreshments throughout the course. Payment can be made by bank transfer, check drawn on an American bank, or via credit or debit card through PayPal. For the latter, please use our online booking form. Enrolments can be made through our our online booking form or by submission/return of the form provided on the PDF prospectus. If you encounter any problems, or have any unanswered questions regarding the details of this course, email Wade at wade@sta.co. Wade Caves, based in San Francisco, USA, is an astrological consultant and educator specializing in horary, electional and classical astrological technique. Wade was certified with honors from the Mayo School of Astrology in London, and has expert knowledge of both traditional and modern psychological methods of chart delineation. Wade's passion is in understanding the historical and philosophical origins of astrological symbolism, whilst finding new and reliable ways to put this information to use in a consultation setting. He is the editor and annotator of the 300th anniversary edition of William Lilly's History of his Life and Times (Rubedo Press, 2015). 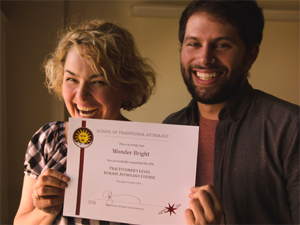 Wade received his certification as a horary practitioner from the STA in 2013, and now serves as a faculty member. 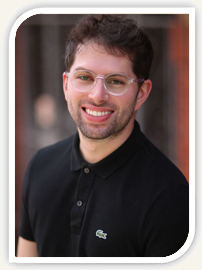 He began tutoring for the STA in October 2015 and delivers the Practitioner's Level Horary Course as an intensive attendance program and online. Wade has a busy consultation practice, lectures widely and publishes frequently on horary through journal articles and online podcasts. Wade's personal website is at www.wadecaves.com. Wade can be contacted via email at wade@sta.co.